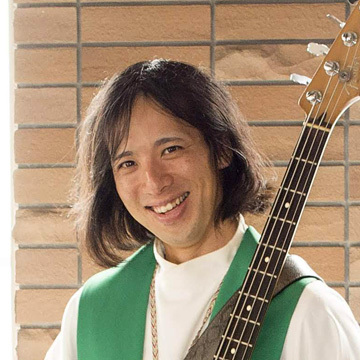 Are you looking for an English language worship service in Tokyo? If so, then you’ve come to the right place. Welcome to Tokyo Lutheran Church! You are invited to participate in worship as well as our other ministries. Every Sunday, we celebrate Holy Communion and worship in English from 10:00AM-10:50AM. You are also invited to attend a Bible study every Thursday evening at 7:00PM. mature in faith, and participate with God in God’s mission. All people are welcome at Tokyo Lutheran and we are always looking for more people to join their gifts with ours. We would love to be a part of your spiritual journey, please stop by for a visit! a community who lives as Christ’s hands in our world. We invite you to join us in our mission! Go to Shin Okubo station which is on the Yamanote Line (Green Line). There is only one exit out of the station. Exit the station and turn right. You are now walking on Okubo Dori (Okubo street). The church is located on the right side of Okubo Dori about five-seven minutes by foot from Shin Okubo station. © jelc tokyo. All Rights Reserved.